smartTensioner HTUs are used instead of conventional hexagon nuts. Multiple HTUs are often mounted on a multi-stud flange connection. All HTUs are pressurized using the very small smartTensioner HydraulicPump HP. Hydraulic pressure (up to 300 MPa) presses an annular piston against the flange and leads to a defined elongation of the bolt. The HTU uses two different hydraulic media simultaneously separated by a splitter: while one is of high viscosity but still pumpable, the other medium is extremely viscous and not pumpable at all. Its volume stays constant over the lifetime of the nut. It is pressed against the sealings on the annular piston. Because of the oil's high viscosity in combination with the smartTensioner sealing, leakages do not occur. Since all other openings of the HTU are equipped with metallic sealings, leakage of any kind is impossible. The pressure remains locked in place over infinite time. After reaching the targeted pressure, the HTU pressure valve seals the pressure space within the nut. The bolt is loaded with tensile stress only. 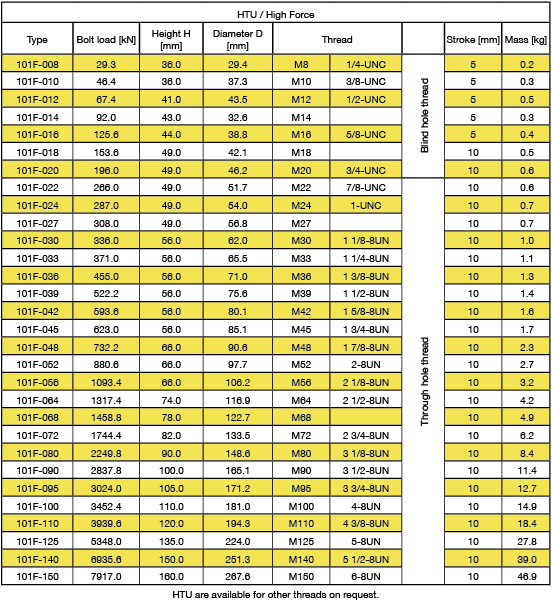 There is no torque stress and virtually no shear stress. 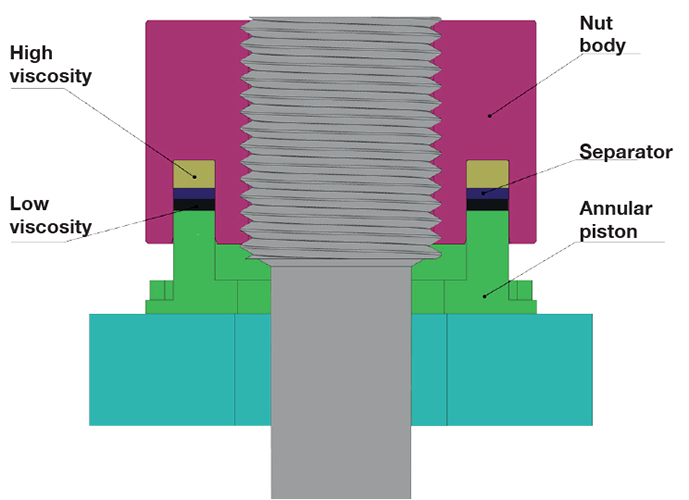 The bolt material’s load bearing capacity is used to its full extent for the bolted connection. 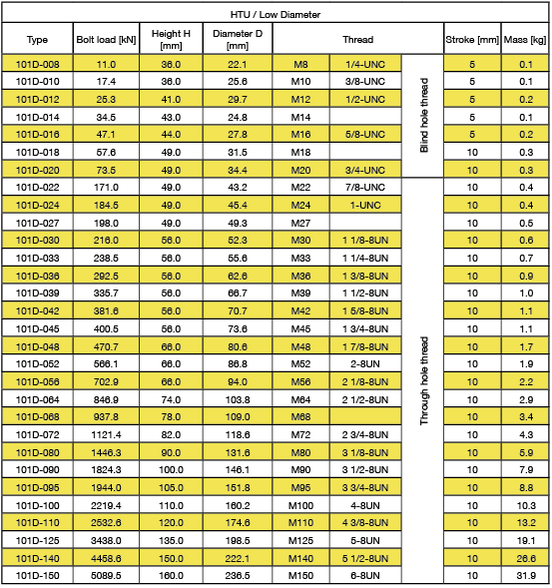 The hydraulic pressure within the HTU can easily be measured. Any unexpected changes in the flange pressure, e.g. due to flange leakages, are detected at once. No pump or hydraulic aggregate is needed for the removal of the HTU. Any discharging hydraulic medium can easily be absorbed. Due to the lack of mechanical locking, after reaching the target pressure the force flow within the HTU remains unchanged. The nut body can be fully used for straining the bolt. There is no need for mechanical locking. The result is an extremely high tensioning force and very small contact area, usable even with threads as small as M8. 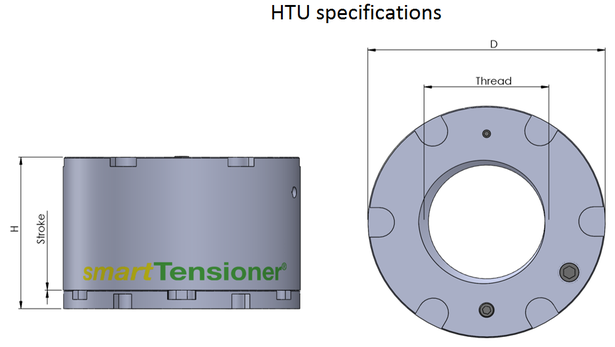 With smartTensioner HTUs, high hydraulic pressure is used to stress the bolts of a flange connection and therefore to press the flange parts against each other. The higher and the more even the bolt forces, the tighter and more reliable the flange. Both can be ensured using HTUs pressurized by smartTensioner hydraulic pumps that are electronically synchronized and ensure even pressures and bolt forces on all bolts. 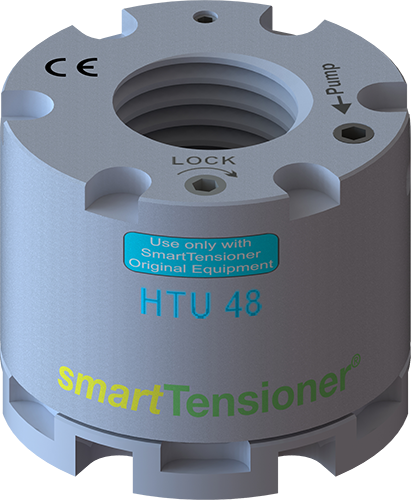 HTUs allow the operator to permanently measure the internal hydraulic pressure using smartTensioner sensors that communicate via cable or wirelessly. The internal pressure is directly proportional to the applied bolt force and flange pressure. Any failure is detected at once. Leakages due to flange failure can be minimized or excluded.